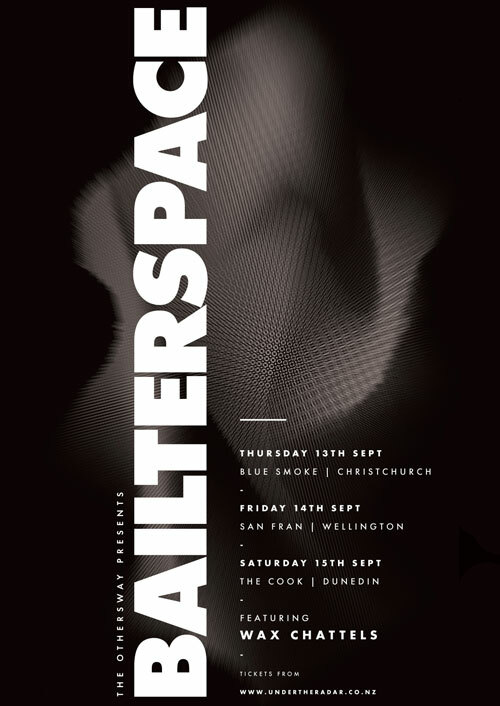 Once described as "The Sonic Youth of the Southern Hemisphere", space-rock contortionists Bailterspace have been mining tortured noise and repetitive melody for the better part of 30 years. Over the past three decades, Bailterspace has mobilised recording technologies to capture a sonic collision of atmospheric noise rock, producing what Pitchfork once coined, "a huge mess of sound that's simultaneously beautiful, jagged, atonal, and supremely melodic". Born out of the electrifying post-punk band The Gordons, they formed in New Zealand in 1987 as Nelsh Bailter Space, featuring Alister Parker (guitar, bass), John Halvorsen (bass, guitar) and Brent McLachlan (drums/percussion, samples) - the original line up of The Gordons. Whether you're a fan of their debut efforts, the seminal 90's era, renascent releases, or the whole catalogue - this is a rare opportunity to see Bailterspace perform live. Featuring the original line up of Parker, McLachlan and Halvorsen, this legendary three-piece return with their veritable wall of symphonic exploration, punctuated by Orwellian themes of spiritual drought and cultural decay.